In honor of everyone who is going back to school this month, Pear Tree Greetings’ team members decided to join in with sharing photos of their school days. Enjoy. Seriously, enjoy. Comments are more than welcome! 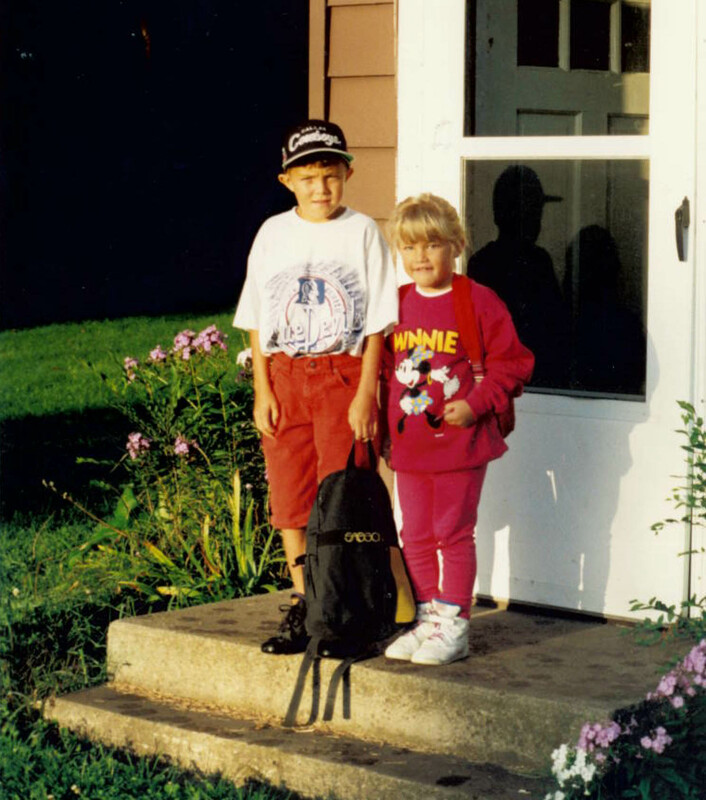 This is Dani and her big brother, on Dani’s first day of Kindergarten. It did not surprise us to find out that Dani always wanted to be a Mouseketeer, like Britney and Justin, but she refused to wear the mouse ears because they gave her hat hair. So she settled for being our social media coordinator instead, a slower, but far more reliable path to stardom.